With over 11,000 inland lakes, Michigan has earned the nickname "Great Lake State" and provides the ideal geography for water sports, boats and numerous summer activities with a romantic flare. Detroit may be the largest city in Michigan, but it isn't the only place offering romantic date ideas ranging from traditional to cutting-edge. Couple relaxing on sunny beach together. Cooking stimulates the senses, making it a romantic way to get to know someone. During cold weather, you can take a cooking class for a sensual indoor date. Mirepoix Cooking School in Royal Oak offers hands-on cooking classes in which you and your date prepare, cook and enjoy a meal under the instruction of the chef staff. Mirepoix has date-night fondue classes, baking/pastry classes, French cuisine and more -- just make sure to adhere to their dress code for safety. For a more intimate indoor date, take social or Latin dancing lessons. At Arthur Murray Dance Studio, all of their locations -- Ann Harbor, Bloomfield Hills, Northville, Royal Oaks and Sterling Heights -- offer a Murray's Mob walk-in dance class, no registration or membership necessary. Charles Mears State Park in Pentwater is located on the shoreline of Lake Michigan. It offers the perfect summer beach date, with plenty of outdoor activities to boot -- hiking, swimming, fishing, sunning on the sandy beaches, picnicking and even snowboarding during the winter. Pack a picnic basket or visit the concession stand and be sure to bring an umbrella, some towels and a beach ball or frisbee to keep the two of you entertained until it's time to enjoy the romantic sunset together. Half a mile from Munising and located in Lake Superior is the Grand Island. You and your date can take the passenger ferry to the island from Powell Point and enjoy sea kayaking, hiking, biking -- bike rentals are available -- sightseeing and camping. Mackinac Island in Lake Huron, Michigan, provides the same island concept with restaurants, hotels and various nightlife activities to boot. 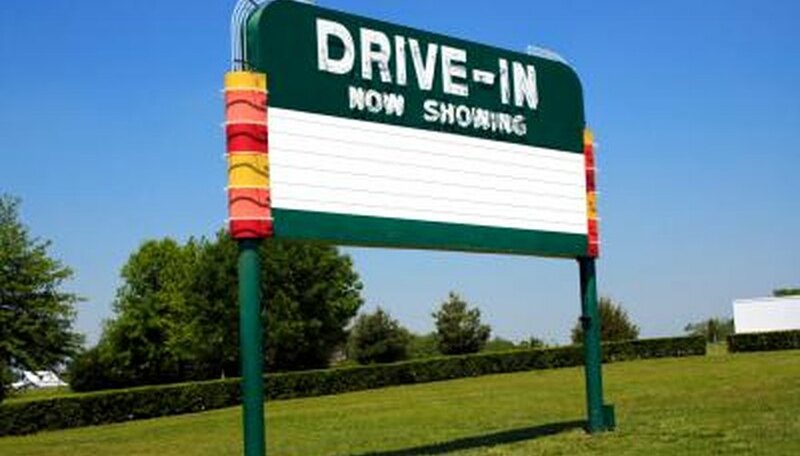 The traditional date night almost always includes going to the movies, but drive-in movie theaters provide more privacy for you and your date. The Ford Drive-In Theater in Dearborn offers in-car heaters, double features and bright, digital movies. The Detroit Riverfront is a host of various activities, including a river tour; but in Rivard Plaza, you and your date have your choice of various traditional date options. Take a ride on the Cullen Family Carousel, sit by the fountain and converse, or enjoy food, ice cream and other treats at the RiverWalk Cafe. For a nontraditional approach to dating, take your date on a murder mystery dinner train ride. The Old Road Dinner Train, in both Blissfield and Charlotte, hosts a murder mystery dinner on vintage dinner cars that date back to the 1930s. The atmosphere is intimate and the views are romantic. Cliff Bell's Jazz Club is another nontraditional place to take your date. The two of you can enjoy dinner with a side of live jazz music. Cliff Bell's also has a form of storytelling entertainment call "The Moth." You and your date can participate in it, if you choose. All ages are welcome, but those under 21 must be accompanied by an adult. Liby, Kimberly. "Romantic Date Ideas in Michigan." Dating Tips - Match.com, https://datingtips.match.com/romantic-date-ideas-michigan-7928736.html. Accessed 19 April 2019.